5. 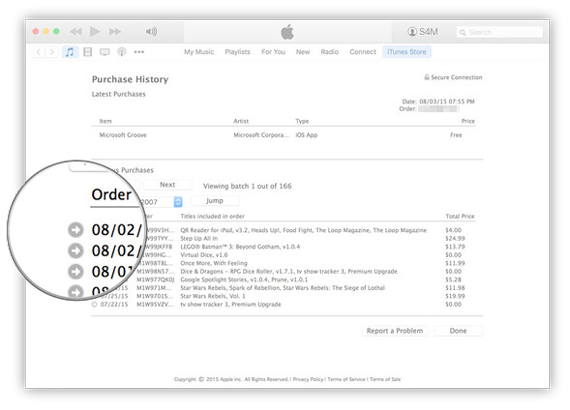 Click on the arrow (→) next to the purchase date that contains your purchase which you’d like a refund. 6. 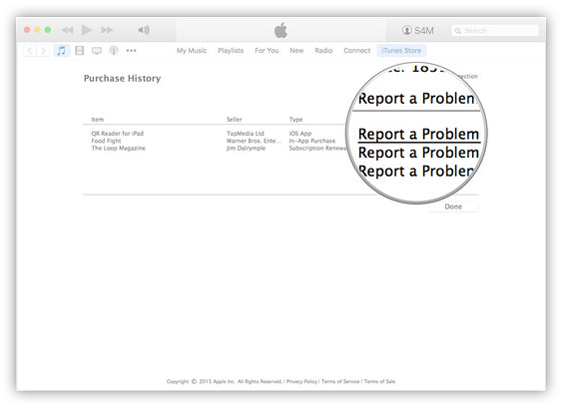 Click on Report a Problem next to the single purchase you’d like a refund for, unless there are many, then you may use the large Report a Problem button. 7. 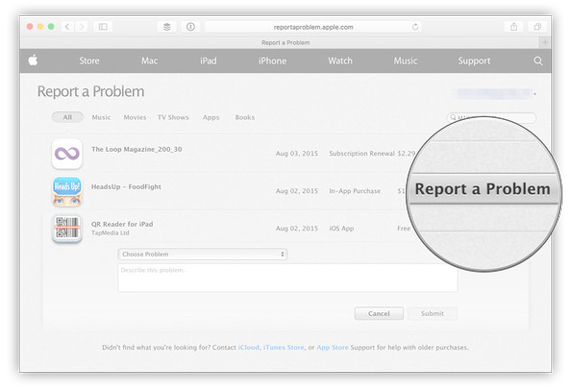 You will be forwarded to Apple’s website. 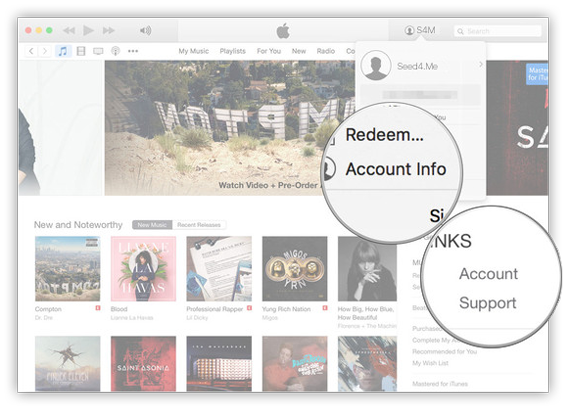 Just follow steps after signing in, request the Refund option and explain why.